The original cider. Apples served over ice. 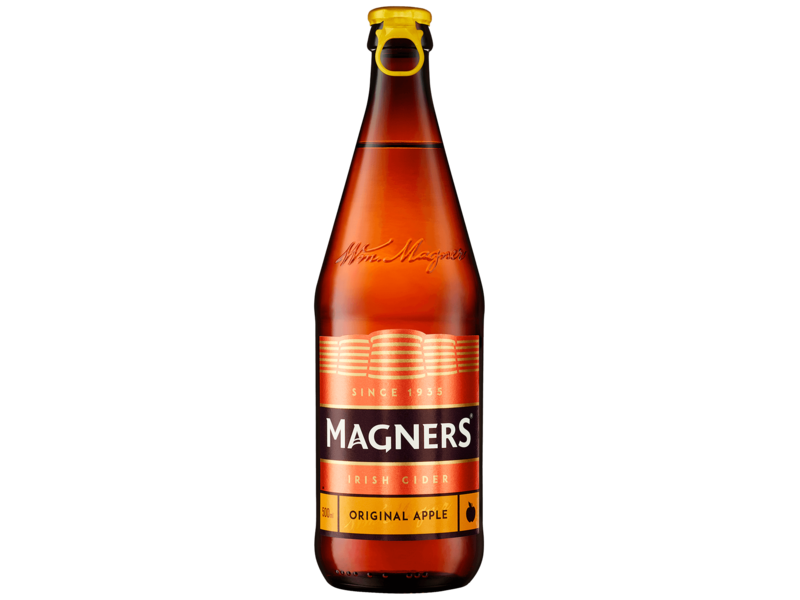 It’s 1935 and, thanks to William Magner, Ireland’s greatest cider has just been born. We’ve held true to that original recipe ever since. Made with 17 different apples, pressed, and left for a couple of years to get extra tasty, it’s crisp, refreshing, and the best way to celebrate, well, pretty much anything. Best served chilled with great mates. What’s better than the kick of Magners Original in a bottle? That same big flavour from a keg. Magners Original on draught is a golden bellied beast that tastes even more refreshing. Slow pour it into a glass and wait for that first taste of chilled crisp cider to drop-kick you right in the taste buds. The 3 Ps: Pressed, premium, pears. 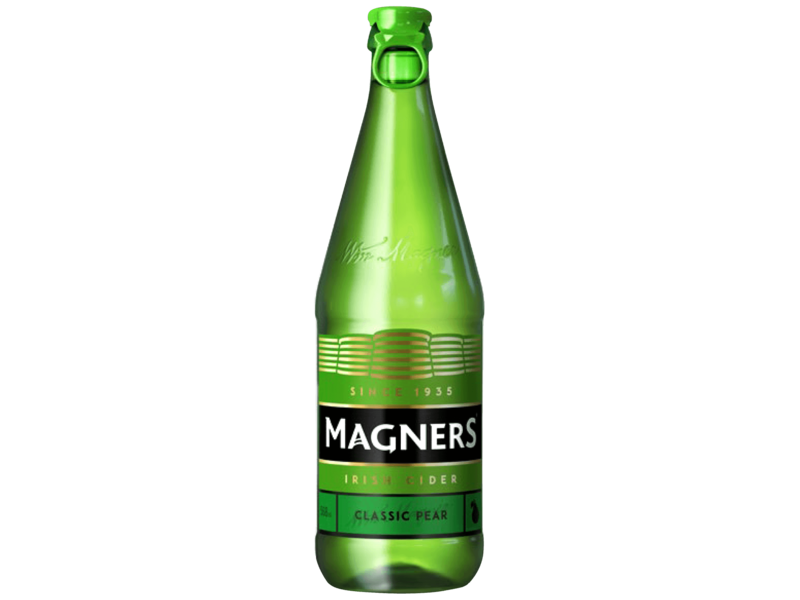 When we made our Pear cider, we knew it needed to be two things – as good as Magners Original. 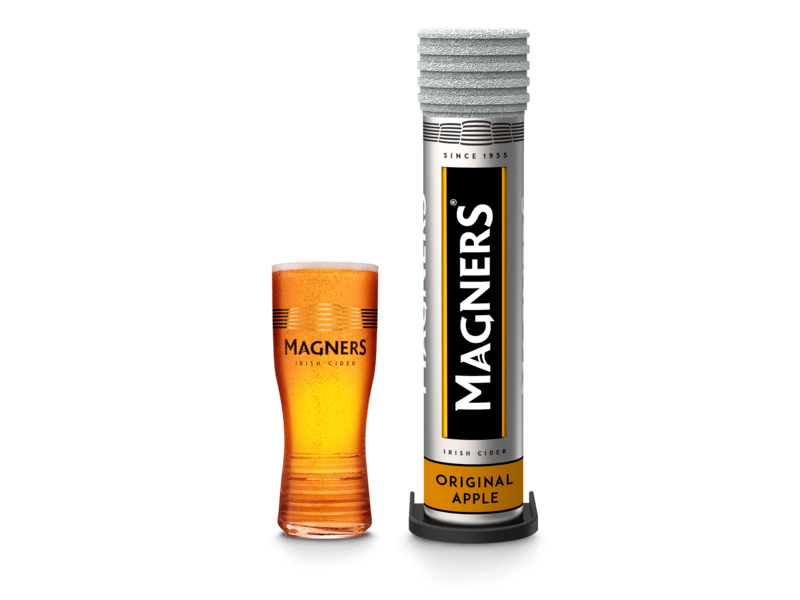 And…as good as Magners Original. Why don’t you grab a few bottles and some mates to see if we kept our word? 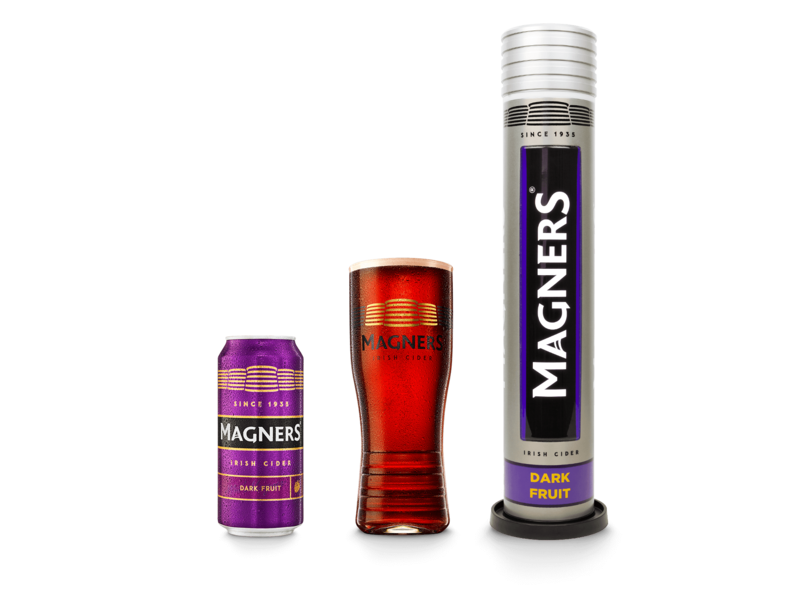 The only way to embrace the dark side… Bursting with sharp blackcurrant and jammy berries, our new Magners Dark Fruit cider is a refreshing addition to the Magners family. You must be of legal drinking age to access this website. Please confirm your date of birth below to continue.